Healthcare Design Magazine Selects Laura Poltronieri as "Architect of the Year"
According to the publication, the HCD 10 is an elite group of design and architecture professionals who represent the most exciting, inspirational, and influential healthcare work of the previous year. 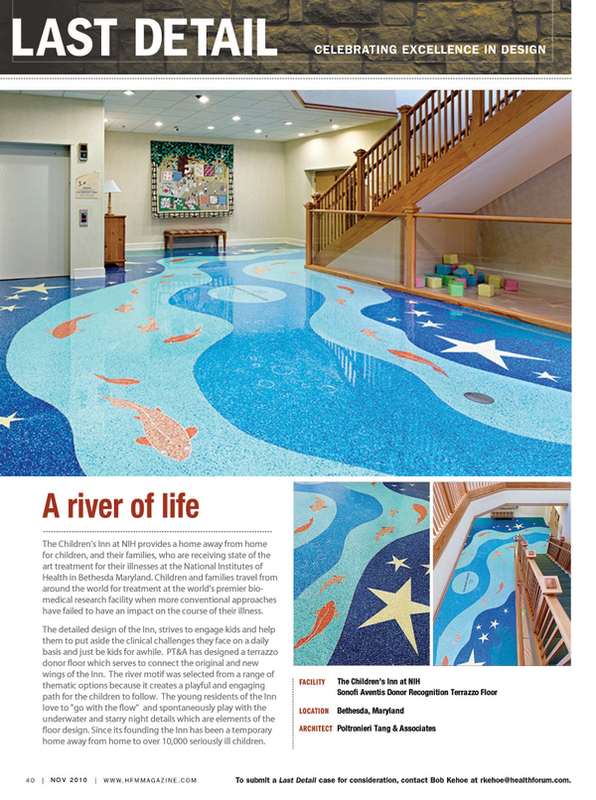 Nominated by their peers, the winners were selected by the editors of Healthcare Design from dozens of submissions across 10 categories. "Nurturing NICU Nurses: Tips for Better Design of Future Units and Programs"
This presentation addresses both environmental and operational strategies for nurturing NICU staff members with a focus on clinical nurses. A better understanding of how to best nurture and support the NICU nursing staff will lead not only to physically designed NICU environments that are more responsive and supportive of caregivers, but will help promote more effective and efficient operational conditions, ultimately contributing to overall enhanced patient care. The annual design competition is evaluated on design excellence, functional utility, flexibility, and response to patients and families. The project was cited as exemplifying "flexibility" in modern healthcare design, according to the reviewing judges. The Children's Hospital project features a curving front glass exterior that is intended to be one part of a signifying "front door" facade to the transformed Milton S. Hershey Medical Center complex, a campus modernization which is expected to be completed over the next decade. Poltronieri Tang & Associates collaborated with Payette on the planning and design of the project. Beyond introducing “kid-friendly” decorative elements over the past decade, children’s hospitals have utilized comprehensive design strategies: “Integrating Theming.” This approach differs from the conventional design process as it affects programming design and management decisions throughout the process. Presenters offered an overview of recent trends/approaches and different perspectives on Integrated Theming through a case study of a major new children’s hospital. 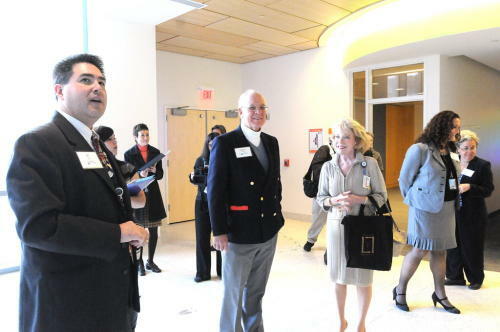 The Annual Leadership Conference is designed for children’s hospitals executive leadership team members, and provides educational and networking opportunities. 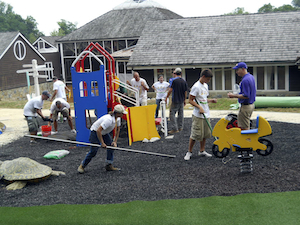 The newly restored play area, built by Scott Long Construction of Chantilly VA, is a key component of The Inn’s larger outdoor play area and park. 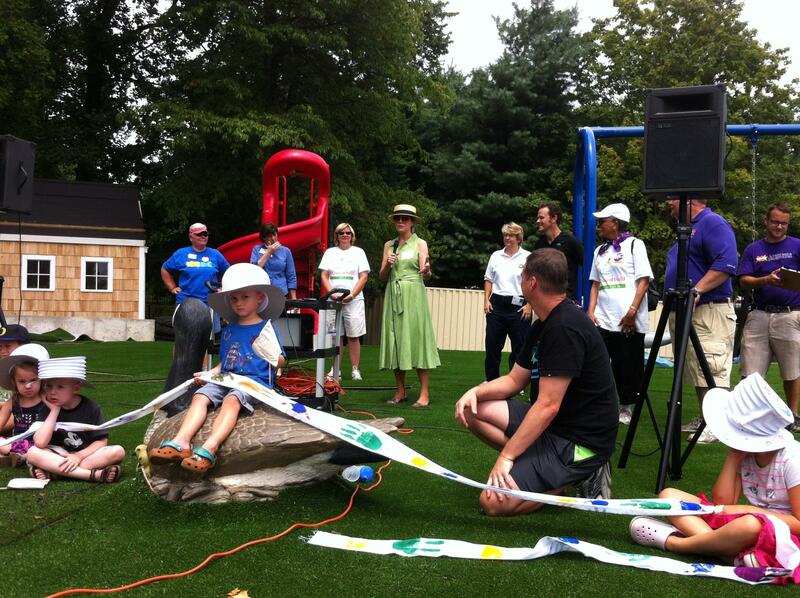 The project is a part of the ongoing Children’s Park INNitiative site development program at the Bethesda MD campus. The playground is one component of The Inn’s larger outdoor play area and park, and part of the ongoing Children’s Park INNitiative site development program. The newly restored play area has many new venues and attractions for kids, which include Benjamin¹s Tree House, a tiered amphitheater, walking trails, lighting, landscaping, a "bird nest" gazebo and outdoor seating. Inn children and families will enjoy the beautiful outdoor space for years to come. The Inn’s new playground and park is a wonderful example of a successful public/private partnership that brings together all the stakeholders in the community. Poltronieri Tang & Associates has also provided the overall site development master plan for the Inn. This facility is a six-story building that will significantly increase the number of hospital beds dedicated to the care of children. This facility includes a comprehensive inpatient and outpatient pediatric cancer unit, an operating room complex with dedicated recovery areas, and other support spaces aimed at providing quality care for young patients. The new hospital will further enhance the ability of Penn State Hershey Children's Hospital to serve the needs of children as the only dedicated hospital for kids in Central Pennsylvania. Poltronieri Tang & Associates work for the project included functional and space programming, clinical planning and design, and theme development. This presentation provided the latest information regarding the upcoming changes to the 2014 Guidelines for the Design and Construction of Health Care Facilities as it specifically relates to the anticipated new dedicated chapter regarding children's hospital planning and design requirements. "Using Operational Metrics to Guide Your Facilities Projects"
This presentation examined the interrelationships involved in the planning, design, implementation and post-occupancy evaluation (POE) of a new pediatric emergency department project of a major academic children’s hospital. A detailed set of quantifiable success metrics were developed at the onset of this eight year long project. A year long POE of how well the unit has met those success metrics was completed. The presentation details how the new unit’s planning and design have worked hand-in-hand with new operational models to help this hospital successfully reach each of its success metrics. This presentation provided the latest information regarding the upcoming changes to the 2014 Guidelines for the Design and Construction of Health Care Facilities as it specifically relates to the anticipated new dedicated chapter regarding children's hospital planning and design requirements. The session also considered how the latest guideline updates might potentially impact the planning and design of upcoming children’s hospital capital projects, both for renovation and new construction. Both L Poltronieri and J Smith served as members of the Draft Review Committee that developed the proposed Children’s Hospital chapter of the 2014 FGI Guidelines. The Children's Inn at NIH - Playground "Build Day"
The Children’s Park and Playground project is another step closer to completion. 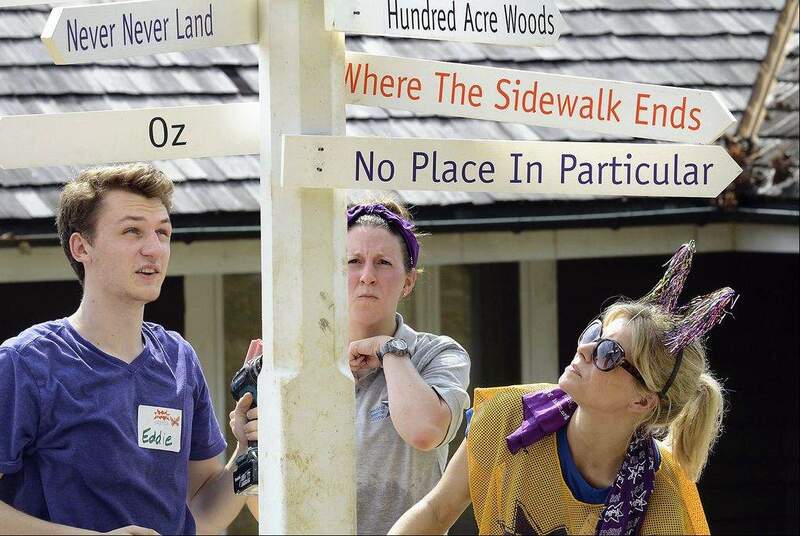 In July, the Children’s Park INNitiative site development program included a productive and very hot "Build Day" with donor partners KaBOOM! 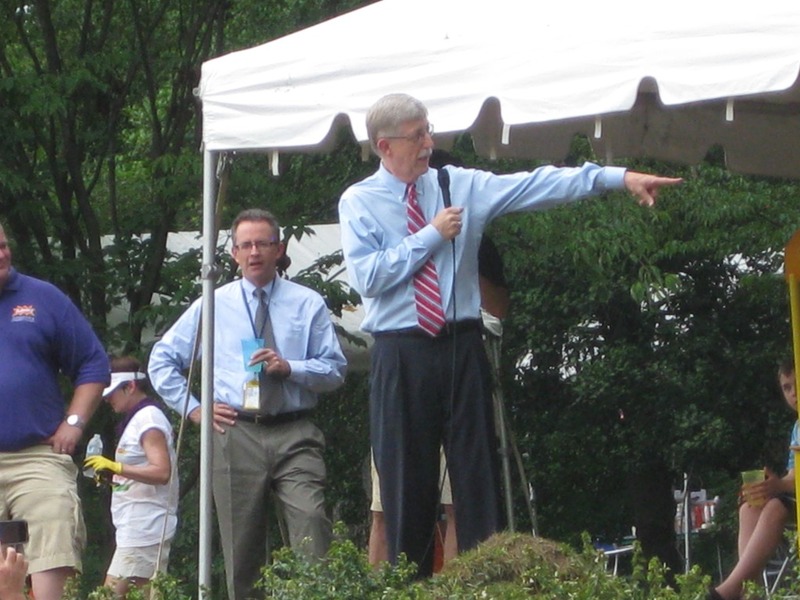 and MedImmune. Hundreds of volunteers and staff worked diligently to get the playground structures in place and helped prepare the park for opening by the end of the year. "Working the System - Developing Children's Building Projects Within Larger Networks"
"Children's hospitals within hospitals" derive many benefits from their strategic and operational relationship to larger health systems. But when it comes to development of new facilities projects, it is often challenging to justify the extensive space requirements and support services that children s hospital require and deserve to their non-pediatric partners. Gaining support from system leadership to exploit full fundraising capabilities, which children s hospitals have at their disposal. By recognizing that children s hospital facilities are unique entities, quite different from their surrounding adult hospitals, multiple innovative pediatric healthcare building projects have been successfully developed at both campuses. 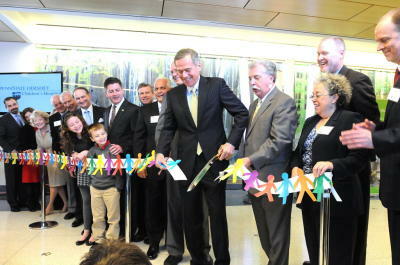 These projects have increased the reputations of both children s hospitals and the systems of which they are a part. New pediatric appropriate facilities and models of care have become well established at both systems, thereby reducing the network s learning curve on future pediatric facilities projects. Pediatric specific facilities project managers are one potential outcome of this approach. Located at 166th Street and Broadway in Washington Heights, the brand-new facility offers world-class emergency care to children, including those from some of the most under-served areas of New York City. The 25,000-square-foot Cohen Children's Emergency Department more than quadruples the department's previous space, creating a family-friendly environment with the latest technology to best care for young patients. One of only three Level 1 Pediatric Trauma Centers in New York state, the facility is equipped to care for 60,000 children annually. The Cohen Children's Emergency Department has 26 private treatment rooms, four triage rooms, two trauma rooms and a nine-bay asthma treatment area. Compared with the older Emergency Department, the new space doubles the number of treatment bays, all of which are single rooms — providing more privacy, comfort and effective care for children and their families. Private rooms feature television, movies on demand and Internet connectivity. Built with families in mind, this attractive and comfortable space aims to lessen anxiety related to a hospital visit. Instead of a large public waiting room, families have access to a group of smaller seating nooks located close to treatment rooms with intimate family reading areas, Internet, a multimedia interactive wall and game tables. Flooded with natural light and vibrant color, public areas and treatment rooms display vivid floor-to-ceiling illustrations from familiar children's literature, and the entryway features colorful murals by internationally acclaimed artist Sol LeWitt. "Developing Best Practices for Expanding a Children's Hospital"
This presentation discussed how challenges, including rapid volume growth, and a desire for all private rooms, can be addressed within tight capital constraints. Advanced planning tools such as scenario planning, and simulation modeling will be discussed. "A Research Study Examining How Unit Design Effects Family and Staff Presence in Pediatric Intensive Care Units"
Changing physical models, specifically private patient/family rooms in both PICU and NICU, are being designed to address issues of family-focused care, patient privacy and infection control. The move to single-family room NICU's at numerous hospitals across the country was in many instances preceded by a similar move to single family room PICU's. Much can be learned from research already completed in these PICU environments. Key design issues which highlight similarities as well as differences between NICU's and PICU's settings were identified, evaluated, compared, and contrasted.